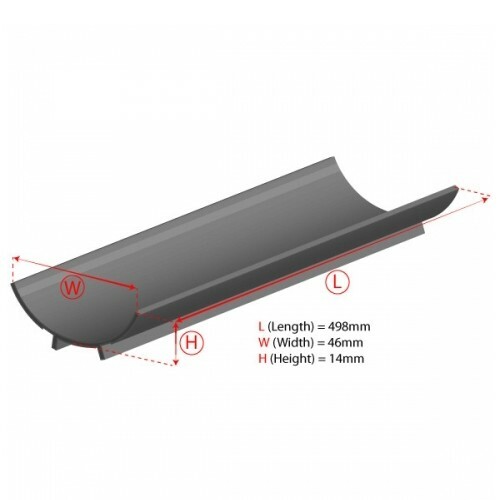 24W – 550mm/22” (l) – 5/8”- 16 mm (w) Using an iQuatics T5 Reflector alongside your fluorescent tubes can increase the output by up to 100%, thus making your fluorescents more efficient. Are you giving your corals and plants enough light? Restricted on space and can’t add any more tubes? 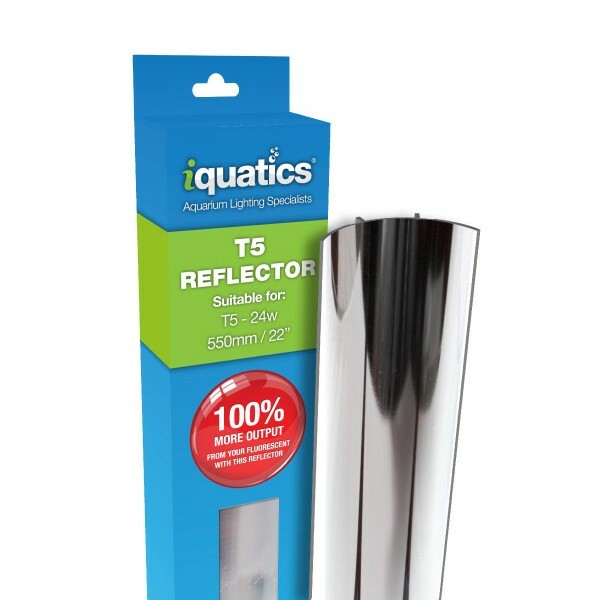 The cost effective alternative is to add iQuatics reflectors to help to increase your overall light output without the increase in electricity consumption, with electricity prices are on the rise, why not make the most of our reflectors. Using an iQuatics Reflector alongside your fluorescent T5 or T8 tubes can increase the output by up to 100%, thus making your fluorescents more efficient without increasing the power consumption. I ordered the wrong reflectors for the light fitting I purchased. This was picked up by the staff before sending them out. The correct ones arrived and fitted very easily. Tank now looks so much brighter. Excellent service. Excellently packaged and reflectors fit great. Free trolley token/ key ring too! Fast delivery, great item, good price, Thank You! Second to none customer service!!! Nothing is too much trouble!! Bought these for my t5 tubes. what a difference to my tank. Really Happy. These guys keep getting better and better. reflectors more than exceeded my expectation! Didn't read the description, thought i was getting plastic but they are aluminum. will replace the rest of my old ones with these soon. great product, well made and very quick delivery. Fast delivery reflectors made a huge increase in light output if fact it was too bright for some of my fish so left one off for now. Fast delivery and so well packed I had trouble opening the packing. Does the job very well. Our back tube is right on the edge of the tank so a lot of light was wasted down the back - not any more. Added bonus we don't get blinded by the light when we open the lid. Excellent product and impressive service. Best price I found for my vivarium for my bearded dragon hehe! Does this reflector come with clips? This reflector comes with a set of 2 t5 clips.